Due to consistent and successful growth, inScience Communications has now expanded into its 3rd UK office. 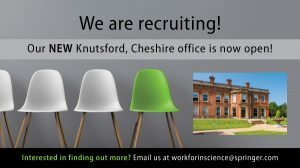 In addition to the existing and well-established UK offices (in the hustle and bustle of London and leafy Tattenhall in Cheshire) inScience Communications now has a 3rd base in the characterful surroundings of Booths Hall, Booths Park in Knutsford, Cheshire. This is inScience Communications’ 6th global location also including New York, Philadelphia and Tokyo. The new office at Booths Hall is set in 220 acres of Cheshire countryside and boasts running and cycling routes and a wealth of amenities. The location has been chosen due to its scenic and tranquil surroundings, accessibility to major motorway networks and ease of commuting from Manchester city centre and the surrounding areas of North East Cheshire. The office location reflects the importance that inScience Communications places on the work-life balance of its employees. The historic surroundings include lots of natural light and there are plenty of on-site facilities, allowing employees to take part in activities including running, cycling and exercise classes or just to stretch their legs in the beautiful countryside location. If team members prefer to relax with a coffee during their lunch break, there is also an on-site Philpotts café. Download our flyer to find out more about Booths Hall. If working at inScience Communications sounds like your idea of the icing on the cake – then we’d love to hear from you.